Welcome to the Brookfield Academy Whiteboard resource area. If you find an interesting site or tool that helps you in teaching please sent it to jcronk@brookfieldacademy.net . We can share it with our fellow teachers. FreeRice – FreeRice is an amazing trivia game from the United Nations World Food Program. Rice is donated to hungry people every time visitors answer trivia questions correctly. Trivia categories include art, chemistry, math, English vocabulary and grammar, geography, and language learning. Archiving Early America – Archiving Early America features a range of short videos on American history that are perfect for use on IWBs. 123teachme - Onilne Spanish activities and resources with interactive games and exercises. Jason - We are a non-profit organization that connects students, in the classroom and out, to real science and exploration to inspire and motivate them to study and pursue careers in Science, Technology, Engineering and Math (STEM). Interactive Learning Sites - A place full of hundreds of online activities that are engaging and exciting for all age groups. Spelling City – Spelling City is a free online learning platform with 10 learning games and more than 40,000 spelling words. The site also offers how-to videos to help teachers integrate Spelling City into the curriculum. Scale of the Universe – This cool update to an old tool lets you scroll from the size of a person and head out into space – viewing the solar system, galaxy and eventually the entire universe. Or zoom smaller and smaller down to sub atomic particles. This new version is clickable – and tells you a litle more about the different planets and objects you can see as you drag the slider to view bigger or smaller objects. Eduscapes – This guide to interactive whiteboards explains different activities and resources that can be used with IWBs. Eduscapes is a good starting place for teachers who are just beginning to use this technology in the classroom. PBS – PBS provides a collection of fun, interactive SMART Board games. All of the games featured on this site are age appropriate and screened by educators. Topmarks – With some of the best free educational materials for IWBs, Topmarks is a great resource for finding IWB lesson plans and activities. This educational site also features teacher resources, educational sites for classroom, and homework help. MathFrame.co.uk – This site, created by a school teacher, houses several interactive math games specifically designed for IWBs. All activities are aimed at reinforcing mathematical concepts and skills. TeacherLED – TeacherLED is a site dedicated to making the use of Interactive Whiteboards (IWB) easier and more productive. This comprehensive site features resources to use with IWBs in math, English, and geometry. Brain Pop - Tons of great educational activities and interactive videos on hundreds of subjects. Please see Jim for login information. Smartboard Team Games - interactive smartboard games, lessons and activities for the whole class. Funbrain – Funbrain offers several interactive educational games for use with IWBs. These fun games cover a range of subjects and grades. 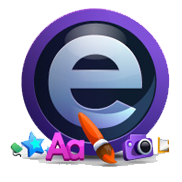 Learn a little more about the Easiteach software.